Read the master plan that provides the planning principles and strategies to guide future growth and development in the centre. Belconnen town centre's features and potential set it apart from other places. 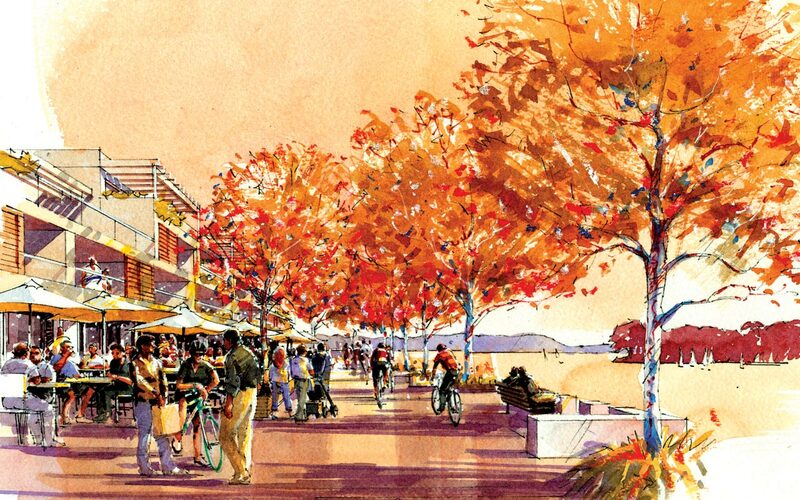 The lake, open spaces, layout and nearby institutions provide unique economic and environmental advantages. These will be improved and strengthened to ensure the town centre is an attractive, accessible and desirable place for people to live, work and enjoy. 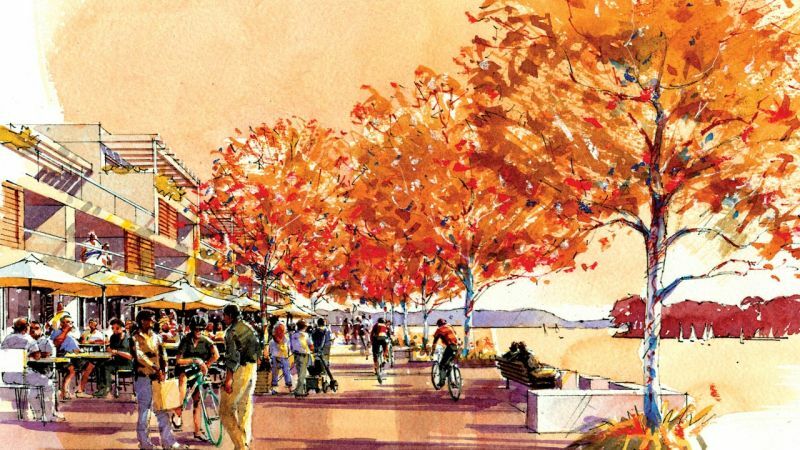 The Belconnen Town Centre Master Plan has been developed with significant contributions from the local community, Belconnen Community Council and local businesses. 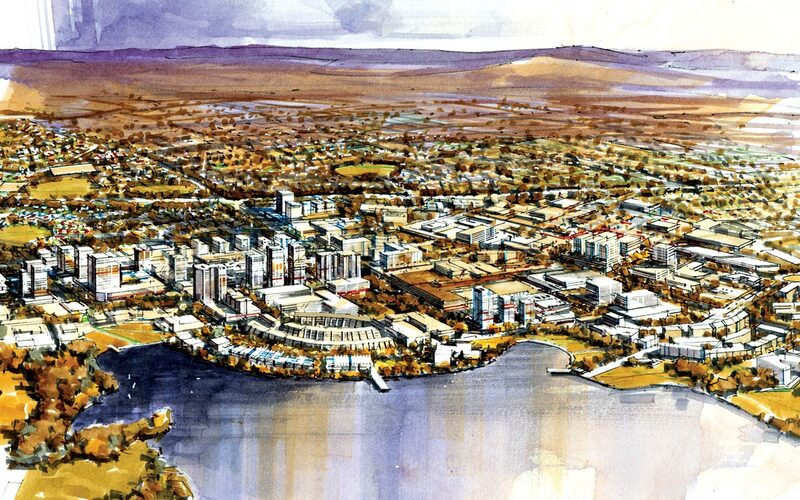 The ACT Government released the Belconnen Town Centre Master Plan on 6 September 2016. 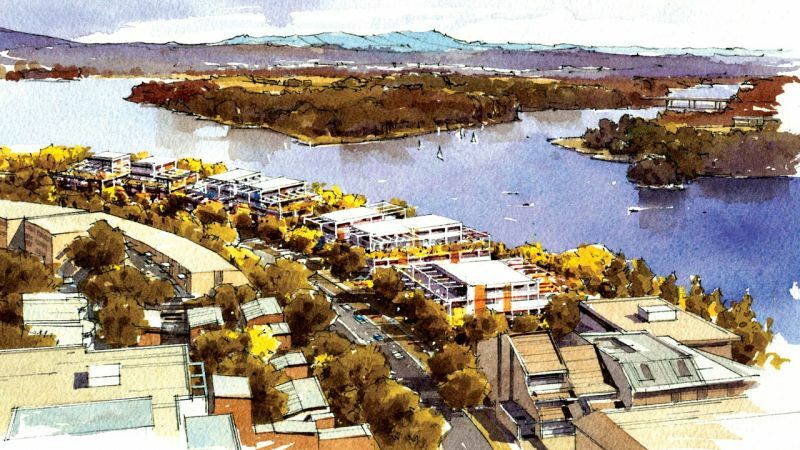 With its lake, recreation, employment, health and retail facilities, the Belconnen town centre provides significant amenity and services for the residents of Belconnen and the wider Canberra area. The centre's setting, nearby institutions and size offer many advantages and opportunities. 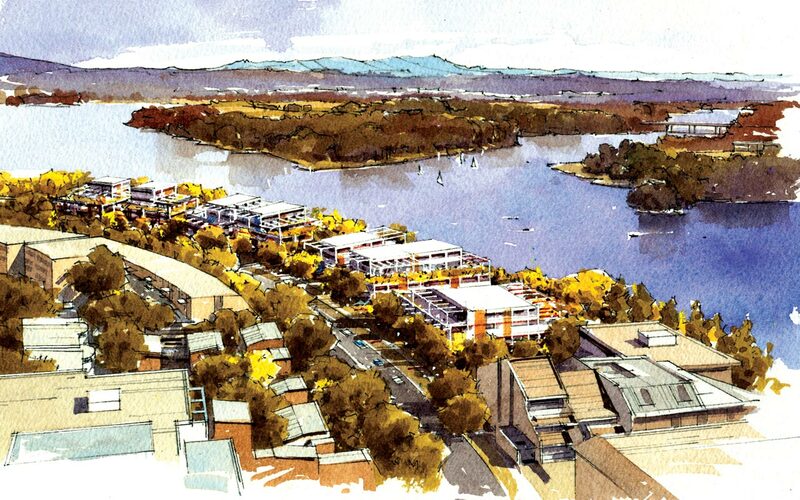 The master plan reinforces the town centre's role as a major community and commercial hub for the Belconnen District and wider Canberra region. clear controls on building heights that encourage high quality design and increased sustainability. 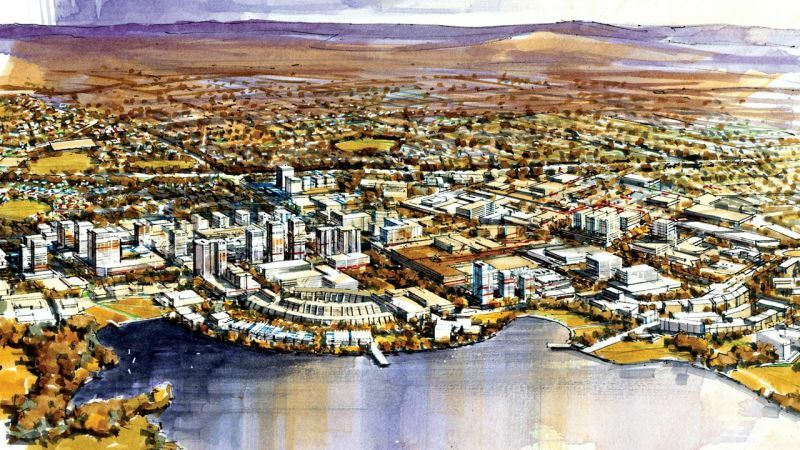 The master plan reflects key ACT Government policies including the ACT Planning Strategy, Transport for Canberra, ACT Climate Change Action Plan (AP2), ACT Water Strategy, the Towards Zero Growth Healthy Weight Action Plan, and the Business Development Strategy. Community engagement to inform the master plan was undertaken over two stages and has provided valuable ideas, opinions and knowledge. A large number of comments, survey responses and emailed submissions were received from the community, local businesses and other stakeholders and these were used to shape the master plan. The ACT Government acknowledges the significant input and assistance provided by community organisations during community engagement, particularly the Belconnen Community Council, the Belconnen Arts Centre, the Belconnen Community Service and Pedal Power. Reports have been prepared that detail the findings of both stages of community engagement. 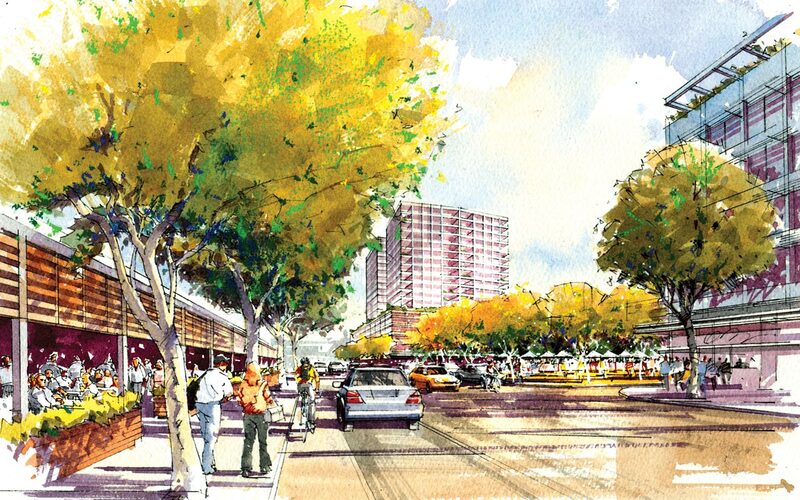 The community provided a range of opinions on how the Belconnen town centre should grow and develop; however most people are generally pleased with how the town centre has changed over the past few years. Emu Bank should be improved to become a destination area for outdoor dining. The northern aspect and lake views should be better utilised. Green space in the town centre, particularly around Lake Ginninderra is highly valued and needs to be maintained and protected. Pedestrian and cycle connections across the town centre require significant improvement. These connections need to be continuous and legible. The provision of parking requires improvement, particularly for people working in the town centre. People are generally happy with increased residential density in the town centre, but wanted buildings to be high quality. Better quality public domain is required, with improved landscaping and street furniture. There are mixed views on the appropriate building heights for the town centre, with equal numbers of people considering the recommended heights were too high, about right or that they were too low. New opportunities for urban renewal and land release, including for the Emu Bank foreshore and at Lathlain Street. These areas are identified as having potential to become active, mixed use destinations for the Belconnen district. New planning controls to stimulate new development and redevelopment for the centre. Introducing building height controls and offering a range of height increases across the centre provides an incentive for urban renewal while reinforcing the character of specific precincts. Buildings up to the maximum height of 27 storeys may be considered where certain criteria for innovative building design are met. Strengthening the integration of and collaboration with the University of Canberra to diversify employment opportunities and enable Belconnen to become a ‘University Town'. Strengthening of planning controls to ensure that buildings support more activity along key streets and public spaces, including along Emu Bank, the lake foreshore promenade, the northern end of Benjamin Way, and Lathlain Street. A significant expansion of the cycle network within the centre, including a plan for a network of separated bicycle paths on key links. This will significantly improve cycle safety and connectivity to and within the town centre. Improving sustainability outcomes throughout the centre by allowing for living (green) infrastructure to assist in climate change mitigation and to improve the amenity and urban character. Short and long term parking management, including identifying sites for future structured car parks. 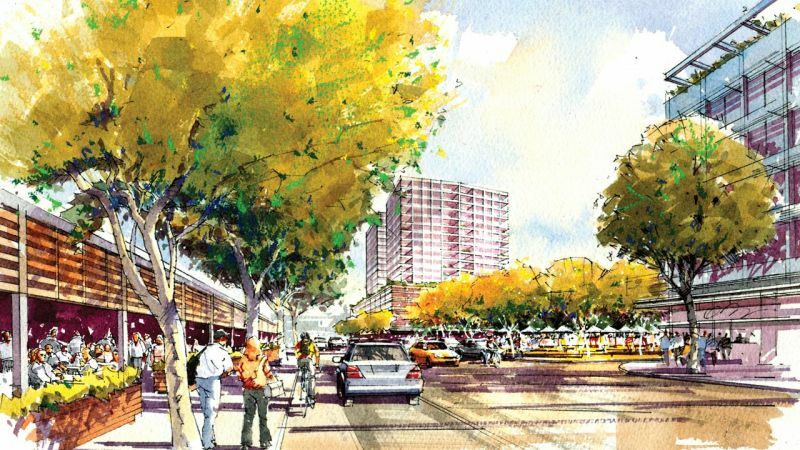 A variation to the Territory Plan to revise the existing Belconnen Precinct Code will realise some of the planning policy recommendations outlined by the master plan. There will be an opportunity for the community to provide feedback on the precinct code through a separate community engagement process.